Are blinds better than net curtains? Blinds can be a fantastic stylish alternative to net curtains, and they are certainly more versatile. Depending on what you opt for, most types of blinds have more functionality than standard net curtains. 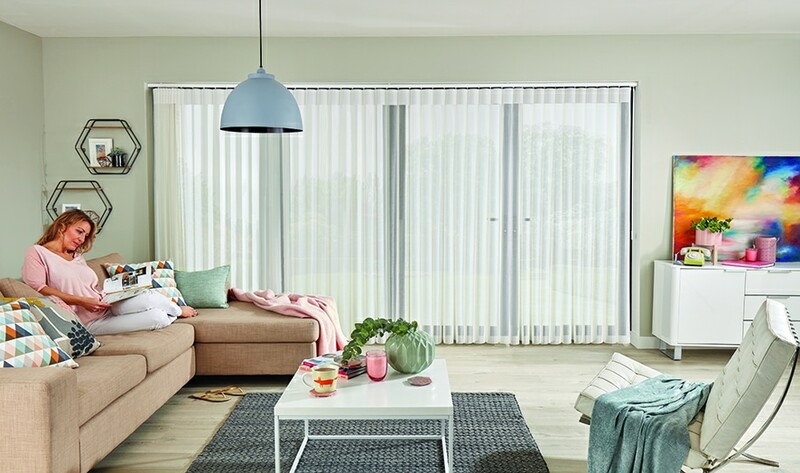 Vision Blinds are one versatile option, Venetian blinds are another, but Allusion blinds from Louvolite are also a fabulous solution, and are new for 2019 from Norwich Sunblinds. With Allusion blinds you get the best of both worlds, they combine the look of a fine curtain with the versatility of a blind. The panes are made of sheer and opaque textured fabric. 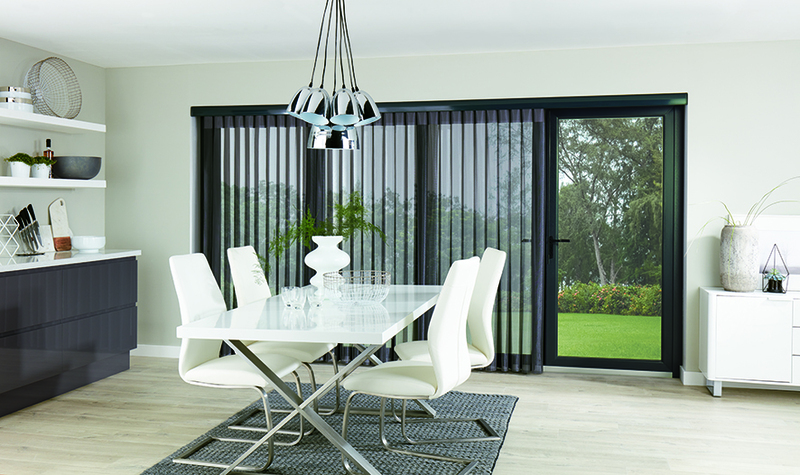 Allusion blinds are ideal for larger windows, bi-folding and patio doors. Net curtains can add a layer between your living space and the view outside. Allusion blinds allow you to see your back garden or street view clearly yet filter the daylight. The soft flowing fabric ensures that the shading is subtle. You will enjoy maximum privacy and security when your Allusion blinds are closed. You can easily control the light filtering, letting in as much or as little as you like. Simply rotate the louvres, the control is at your fingertips. 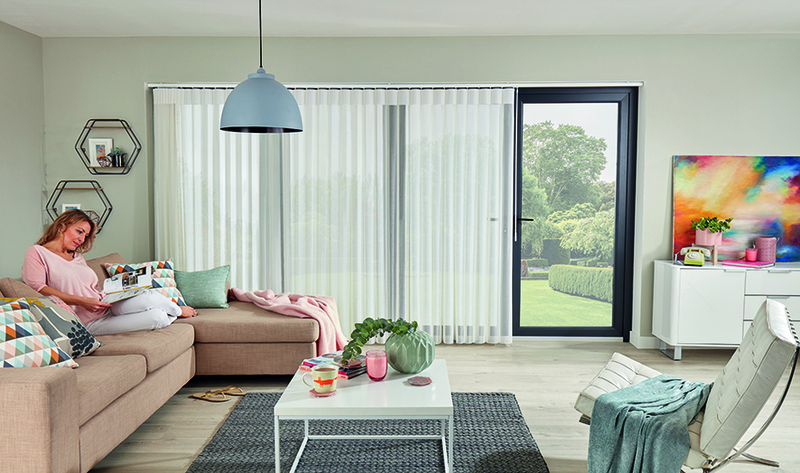 With Allusion blinds you will enjoy a seamless flow from inside to outside, removing any barriers to access. Just walk through the sheer fabric when your bi-folding or patio doors are open. Benefit from seamless access to your outdoor space. You can be confident that Allusion blinds are child safe. Wand operation is recommended for safety and also for convenience. 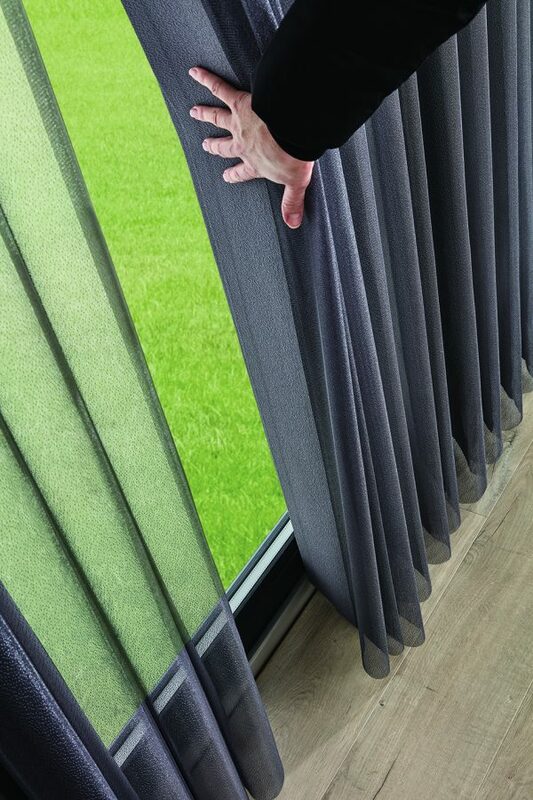 Norwich Sunblinds are approved by the British Blind and Shutter Association (BBSA) and we ensure that any blinds or curtains we install are child-safe. 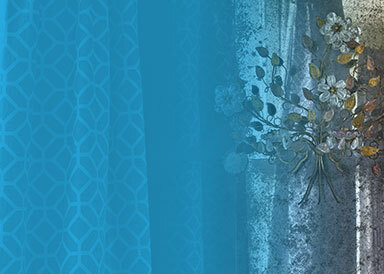 Allusion blinds feature delicate flowing fabric, sheer and opaque panes, and will create an elegant look for your windows. However, they are also functional and can be moved aside easily to let light in or closed to filter the light. Want to know more? 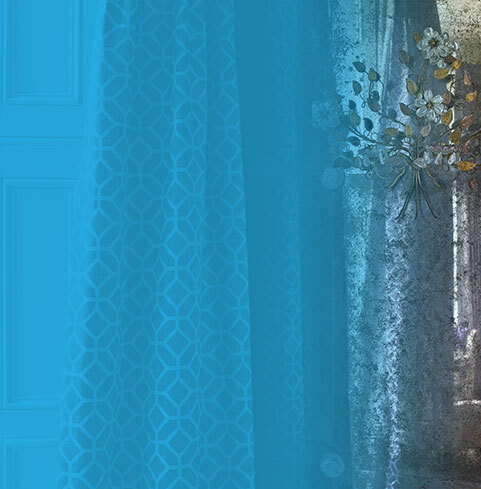 Get in touch with the Norwich Sunblinds team or visit our showrooms, where you can experience the fabrics for yourself. Allusion blinds work well in both domestic and commercial settings. It all starts with an appointment with a Norwich Sunblinds specialist, who can advise you on the best blinds for your home or business. 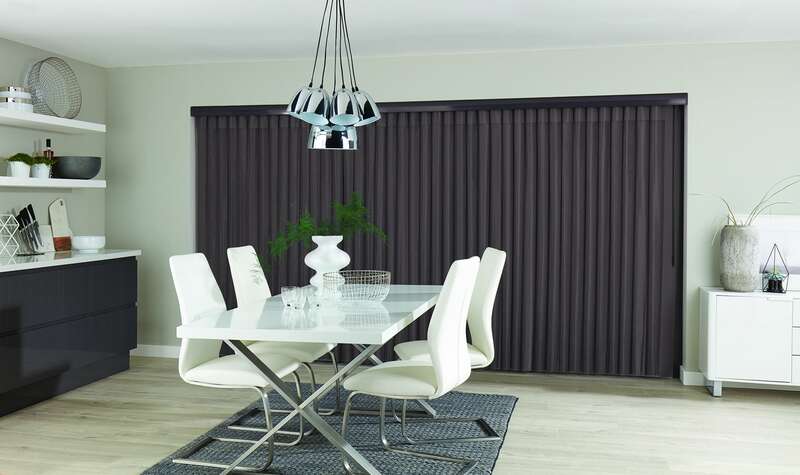 We offer a range of blinds suitable for both domestic and business use, from Allusion blinds to panel blinds. 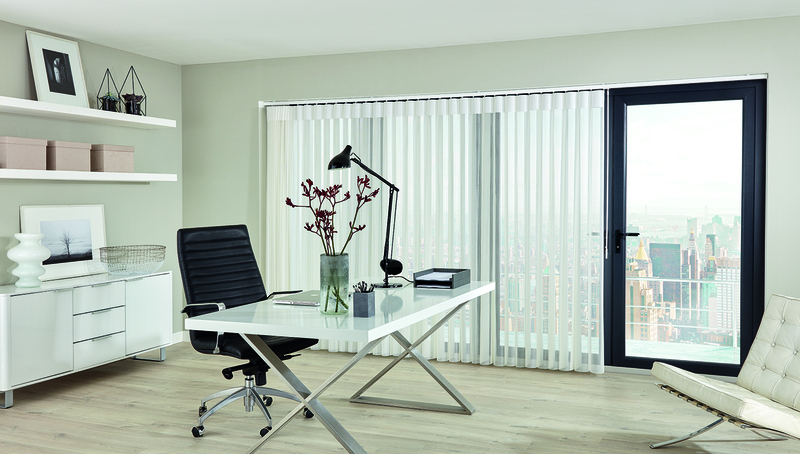 Allusion blinds are ideal for offices. 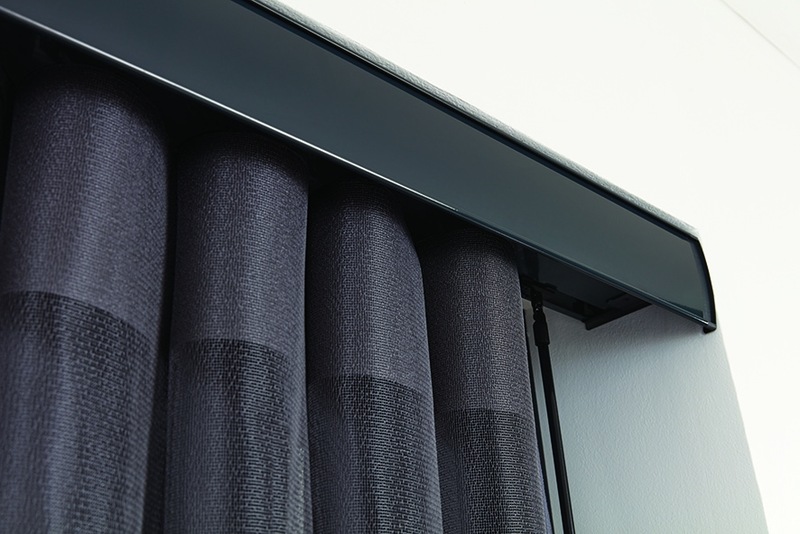 With coloured headrails available in white, grey or black, you can personalise your Allusion blinds to reflect your style. You can also add coordinating fascias in white, black or on-trend anthracite grey. Speak to Norwich Sunblinds about coordinating your look. We can even make soft furnishings to match. Norwich Sunblinds offers the latest technology from today’s leading suppliers including Louvolite. Visit our showrooms or arrange a home appointment to discover more about how allusion blinds can work for your home or office.